The next entry in the series is not Bayonetta 3, but rather this free browser game. 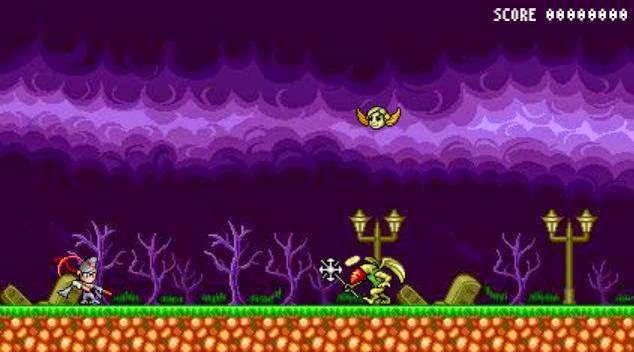 Japanese developer Platinum Games has released an 8-bit Bayonetta game, and you can play it right now in your browser. It's a fairly straightforward game, but it's actually is kind of really tough. No, my high score is not zero. This is a screencap of the start-screen. All you do is jump and shoot, but as more and more enemies come on-screen, it can get pretty challenging. Post your high score in the comments below to see how you stack up against other readers. The game was released this week as part of a new Platinum hiring push. Recently, it was rumored that a sequel to Metal Gear Rising: Revengeance, which was developed by Platinum, might be in development. However, Kojima Productions was quick to shoot down that speculation. Platinum's most recent release was the award-winning Wii U game Bayonetta 2. The developer is now producing Scalebound, an Xbox One exclusive that certainly sounds like it could be a big deal.